Over four years before we bought Learning Express Chattanooga, we took over a small independent toy store in March 2013. We bumped and tripped and made lots of mistakes for most of the year, but we had a great Q4 that year. The entire community came out to support us, we had great PR, family members and friends from across the country did their holiday orders with us, local folks requested private shopping parties at night during off-hours in Q4, it was all great. Fast forward nearly a year. Half-way through November 2014, after nearly 17 straight months of year-over-year increases in sales (previous owner had given us her monthly revenue numbers from the previous five years), we knew we had our first down month. Not the month you want to miss on, to be sure. Fortunately, I had months earlier purchased a print media package with the Chattanooga Times Free Press for Q4 that included a full page ad to run on the first Sunday in December. An insane purchase for a store of our size, but my background is in marketing copywriting and I wanted the chance to write the type of "Mad Men" print ad that inspired me to get into marketing when I was in the eighth grade. With two weeks to go before the ad was to run, I still hadn't written a word. (This, I do not recommend.) 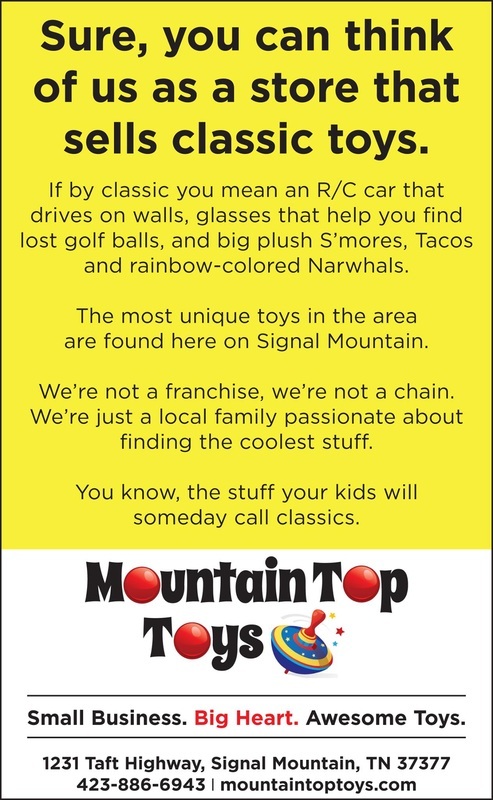 Fortunately, by waiting until I saw how November sales were going, the fear of having a down Q4 pushed me to write an ad that just told it the way it was, what we as a store stood for, what essentially I believed the specialty toy industry stands for... and let the chips fall where they may. It worked. Despite the fact the ad was running in a publication for a city that we're not actually in. Our town is about a 15-minute drive from Chattanooga. Much of that up a very windy road. 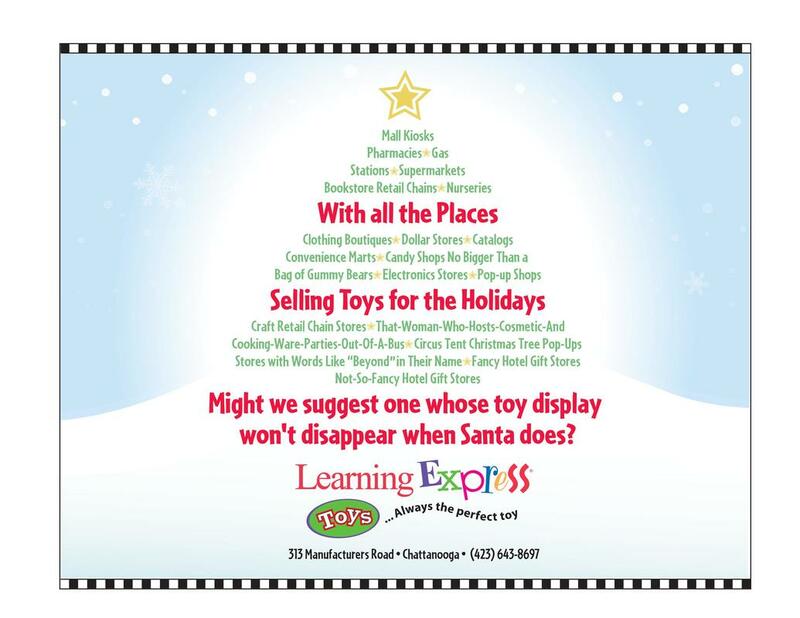 Chattanooga has a Toys R Us, Learning Express (which we now own), multiple Walmart locations, a Target, Hobby Lobby, Michael's, Barnes & Noble... all of which sell toys and all of which (except LE) were running circulars touting big discounts in that same Sunday paper. Our ad offered no discounts. And it ran on the front page of the second news section. One couple drove over an hour to see us. Another was going to do her ordering on Amazon, but saw our ad and drove 20 minutes to our store and dropped $200 in gifts knowing full well she could get them cheaper online. ("Y'all gift wrap, though, right?" she winked.) I would get calls from folks who didn't have children or grandchildren but wanted to tell us they appreciated the ad. An ad executive of 30+ years emailed me so excited because he had taught students for years that a long-copy full page print ad could still be incredibly effective if done right, even in today's Tweet-filled world, and we had finally proven him correct. The ad took on another life in 2015 within ASTRA, too. And for that, I'm very grateful. I posted it on the ASTRA boards the week after it ran to inspire others once I realized we had something special going on. Many within ASTRA passed it around. I knew it was getting some traction when our gift wrapping vendor - our first stop at the Atlanta Gift Show in January '15 - saw my store name on my badge and gave me a huge smile as he told me how much he liked the ad. By the time that gift show and Toy Fair the next month were over, I realized it had struck a chord. So even if you just tweak and post the ad in your store (as I did last year when we didn't run anything in the newspaper) with your branding, it makes a statement to your customers and to your staff about why you're proud doing what you do. Trust me, no one who has read the ad in our store has then taken out their cell phone to price compare anything. Whether they buy into what we're about or not, they respect what we're trying to do. Two years after the original ad ran, I wrote a second in the campaign. This one focused more on the unique products we carry. It had a similar response in that we got folks who drove to see us from all over the area. The challenge of this ad is I realized I couldn't mention many of the toys by name because a segment of the audience would sit back with their smartphones and just look up the items on Amazon. But all the items in this ad were vetted and the products were either on par with our MSRP, or were not available online anywhere. This is my second favorite ad - I had long has this vision of a Christmas Tree with different color text as the message, the headline as garland. (And I knew I could mock it up in Word and get the general idea across to my graphic designer.) The actual copy came out of frustration at seeing a couple of our toy lines being sold in some places that had no business selling toys. This ad ran in our small local paper which didn't extend beyond the 8,000 or so in town. 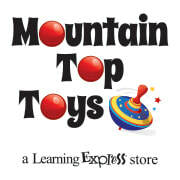 But it received a great deal of praise within the specialty toy industry. 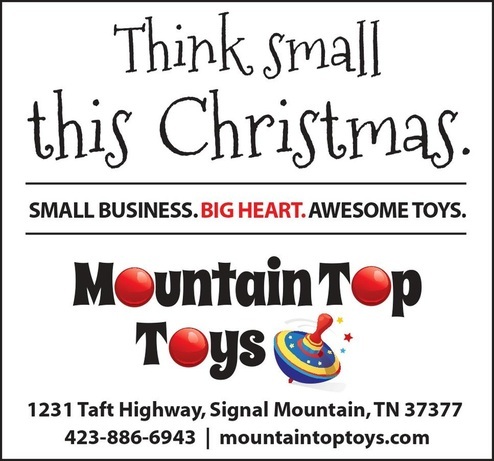 Every retailer understands the frustration of seeing businesses with no toy expertise suddenly add toys to their store's mix to grab some extra dollars during the holidays. But that toy display always goes away on 12/26. Below, a modified version we did for our Chattanooga Learning Express store in 2017.